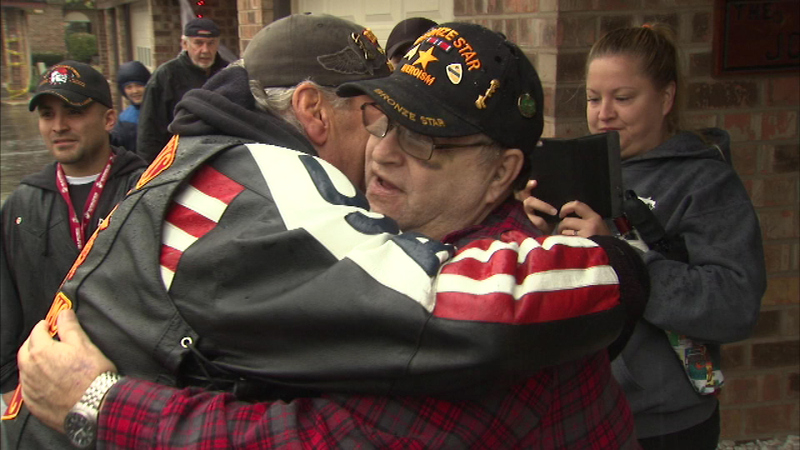 Vietnam War veteran Richard Jones receives a long-neglected welcome home. PALOS HILLS, Ill. (WLS) -- The military recognized Richard Jones for his service to the country, but with the controversy over the Vietnam War, he failed get a big welcome home from his community, until now. The group "Operation Welcome You Home" hosted a surprise gathering for Jones Saturday in Palos Hills. There were a lot of hugs, gifts and people offering their thanks. ABC7 Eyewitness News spoke to Jones after he was attacked when he confronted a speeding driver earlier this month.